The most important things to know about trekking to Everest Base Camp. 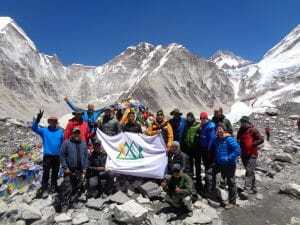 Ian Taylor Trekking have a wealth of experience working in the Everest region. READ SOME REVIEWS on Facebook. We have been sending teams into the region for over a decade. I have personally climbed to the summit of Mt. Everest 8,848m/ 29,035 feet and lead over 30+ treks to Everest Base Camp 5,364m/ 17,500 feet and Kala Phatar 5,545m/ 18,192 feet. 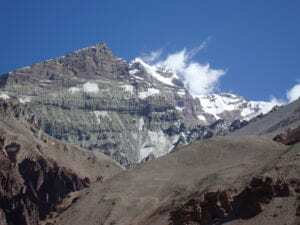 I have lead 15 climbs of Island peak 6,189m/ 20,305 feet which is high up in the Everest region. Nepal and this region is like a second home for me. I visit Nepal twice a year in the Spring pre monsoon period. March to May and return again post monsoon September to November. We don’t send any trips into the Everest region during the monsoon months, May to August. We sometimes send trips in winter months December to February but very rarely do we encourage people to travel into the region at this time. READ MORE. Here are the most important things to know about trekking to Everest Base Camp from my experience of travelling into the Everest region for over 10 years now. 1). Understanding altitude and how you personally adapt to low oxygen environments is critical to having a good experience at high altitude. 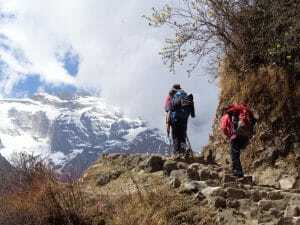 Before thinking of trekking to Everest you should consider lower elevation treks or climbs like Mt. Toubkal in Morocco, The 6 day Salkantay trek to Machu Picchu or the famous 4 day Inca trail trek to Machu Picchu trying to get above 4,000m. Getting out on hills or mountains in your own country will help you understand the physical effort required to go up and down mountain sides for hours and on a multi-day basis. This will show you the critical importance of coming with the right physical conditioning. Even though I have been to the summit of Mt. Everest doesn’t mean I will have no problem with adapting to the low levels of oxygen in the atmosphere. In October 2015 I was leading a trek to Everest and got a chest infection at 4,410m/ 14,468 feet in Dingbouche and ultimately stopped me from going higher. On other occasions I have struggled to adapt fully to the lack of oxygen. On other occasions I have acclimatized with ease. How I adapt will dictate my comfort level and the overall experience I have on the adventure. 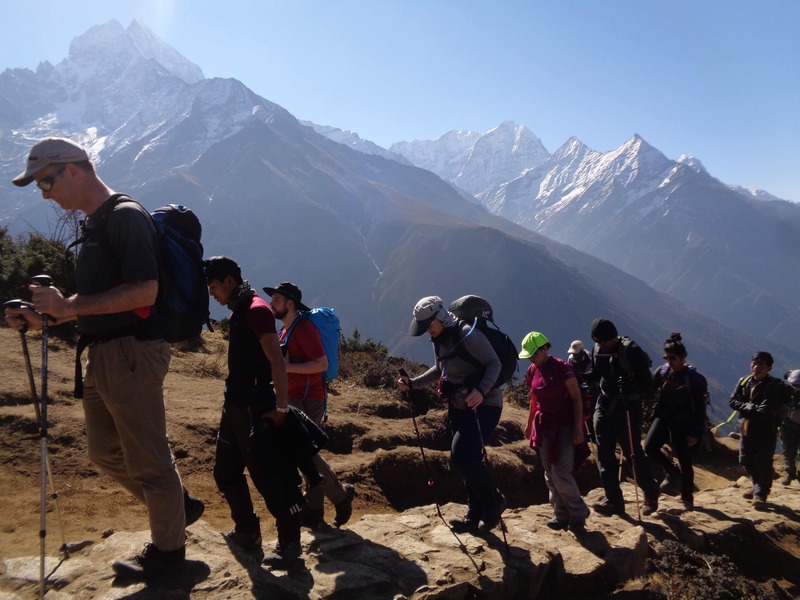 So spending more days on the way up to high altitude are needed to make sure you are giving yourself the best and safest experience trekking into Everest Base Camp. We highly recommend spending 3 nights in Namche Bazaar at 3,500m/ 11,500 feet. This will give you the best possible preparation for the low levels of oxygen. 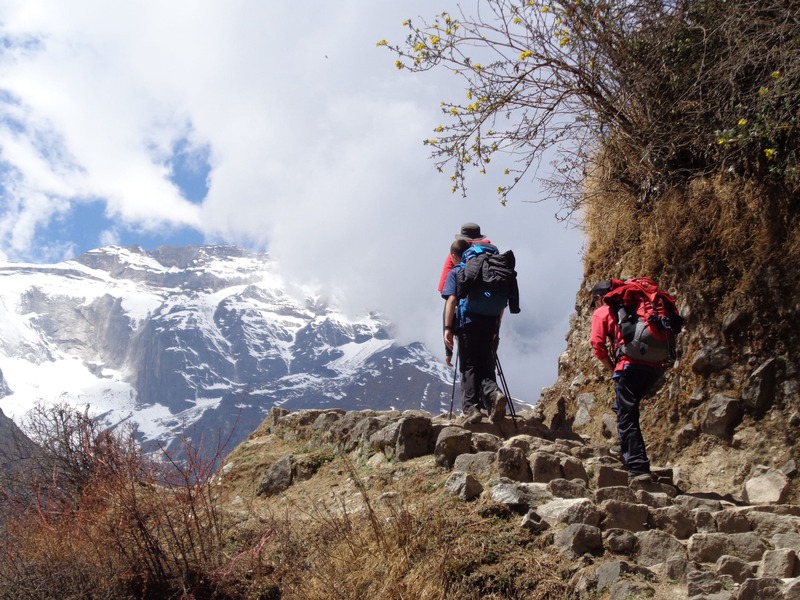 READ OUR TOP 10 TIPS in preparation for the Everest Base Camp Trek. 2). 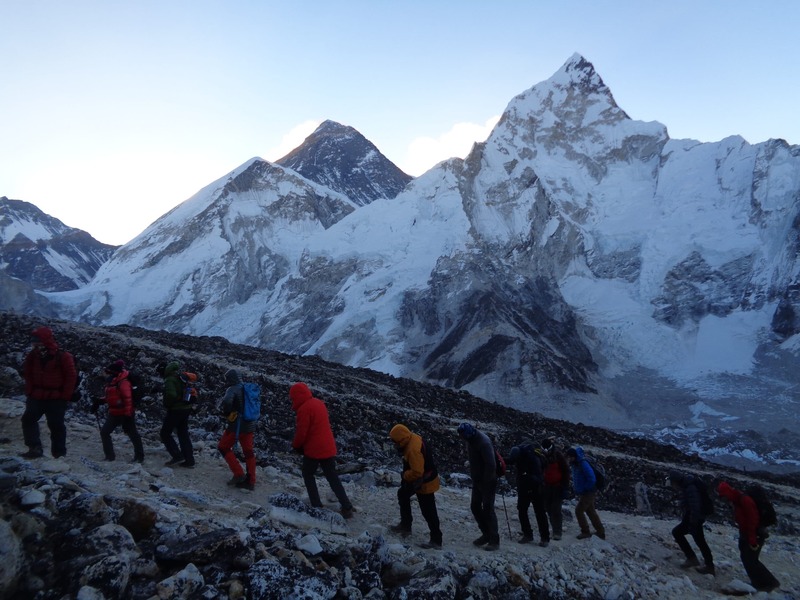 You need to come trained, prepared and understand the challenges that an Everest Base Camp Trek present. The challenge is two fold. Altitude or low oxygen in your body and having the physical conditioning to be able to walk up and down hills on a multi-day basis. Not everybody is the same, not very body acclimatized the same so why would you pick an itinerary that has less time to acclimatize. This will ruin your trip and will be a complete waste of time. If you want to experience the scenery of this region and enjoy the experience to the full you need to pick an itinerary which allows you slowly move higher and slowly adapt to the low levels of oxygen. READ OUR ITINERARY and see what you think. In terms of training and preparation this is typically done over a period of months if not years. Specific muscle memory along with endurance, cardiovascular fitness is important. It is also important to build longer days of consistently higher heart rates. The best way to train is out on hills, mountains building from 2 to 6 hours of consistent hiking with a weighted back pack building from 4kg/ 9lbs to 10kg/22lbs. You also need to be supplementing this training with additional gym or other training 3 to 5 times a week. Fail to prepare and prepare to fail. It really is important to condition the body correctly for this trek. On average you will be hiking up and down 600m/2,000 feet per day. Sometime more, sometimes less. You will be doing this with level oxygen getting to the muscles. More and more people are showing up in Lukla under prepared and in most cases people are more dangerous than the mountains themselves. You need to take responsibility for yourself and think of the others in your trekking team. 3). Make sure you have the right equipment and clothing for your Everest Base Camp Trek. I make this journey twice a year and we have 16 to 20 treks per year heading into Everest Base Camp. More and more I am seeing people totally unprepared on all fronts, training and in all the wrong clothing, footwear, hydration systems and not understanding the outdoors. Over the years the situation is getting worse as more tourist, not hikers or people who have prepared for the journey step into this mountain region where the weather and circumstances can change fast and people need to have the right clothing for the conditions. I recommend using a wide range of gear so watch our Everest Base Camp packing video’s and you decide. 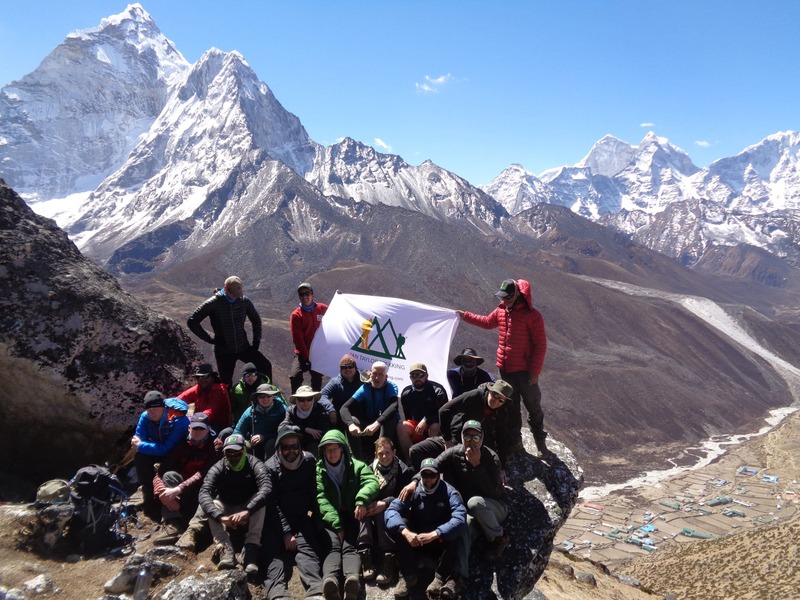 If you are signed up to one of our treks we are available 5 days a week to help to gather the best equipment, clothing and gear for your Everest Base Camp trek. It is really important to remember the clothing you bring on a trek will be different for a trek in January or if you decide to trek in May or November. The temperatures vary drastically throughout the year so you need to get professional advice and make sure you have the correct clothing for the time of year you are trekking into Everest Base Camp. 4). Pacing teams and pacing yourself at high altitude or in low oxygen environments is critically important. While it is important to exercise in low oxygen environments so that the body can understand the level of oxygen in the environment. It is critical to do this keeping your heart rate as low as possible and not to fatigue the body. Lactic acid in the muscles and pushing too fast will eventually catch up with you. You are on a multi-day trekking trip. You need to slow your pace and try and get from point A to point B with as little effort as possible. On the way up we go very slowly and on the way down, back to Lukla you can move faster to cover the long up and down hill sections of the trail and cut out days for the slow rise to Everest Base Camp. On Ian Taylor Trekking trips your pace is managed by our staff and you will not be allowed to move faster than the guide leading the trip. This is so important for your safety and the overall safety of the trip. Remember to train hard at home so when you come on the trip is easier to manage and you can really enjoy and get the most out of the trek. 5). Stay well hydrated in low oxygen environments and on your Everest Base Camp Trek. water, next to oxygen, is the most important substance that our body needs. Water makes up 60% of our body weight, and blood is normally about 94 percent water when the body is fully hydrated. Now I am pretty sure that this is no surprise to any of you out there, but I can’t tell you how many times I have been on the Everest Base Camp Trek and people are not drinking water. You need to be pre-hydrating for your trek to altitude and you need to be drinking 4 to 6 liters of water each day while you on the Everest trail. Read more from our Top 10 Tips while you are on the Everest Base Camp Trek. Water increases the efficiency of red blood cells in collecting oxygen in the lungs. In other words, we need it for breathing. I don’t know about you, but for me, I run out of breath at altitude far before my legs give out. Water is used to energize and top off the reserves in the cells, and then leaves the body carrying along with it the toxic waste of the cells through urination, sweat, bowel movements, and even our breath. Water is the main solvent for all foods, vitamins, and minerals. It is used in the breakdown of food into smaller particles, so we can metabolize and assimilate nutrients. With everything in life you need to experience something to fully appreciate and learn for yourself. The most important things to know about trekking to Everest Base Camp as listed above. There are lots of other items to know about picking the right lodges, toilets, Sherpa people and probably a wide range of questions you will have about trekking to Everest Base Camp. Ian Taylor Trekking provides a 45 page document on trekking to Everest Base Camp and we will answer all your questions big and small. DROP US AND E-MAIL OR CALL US.